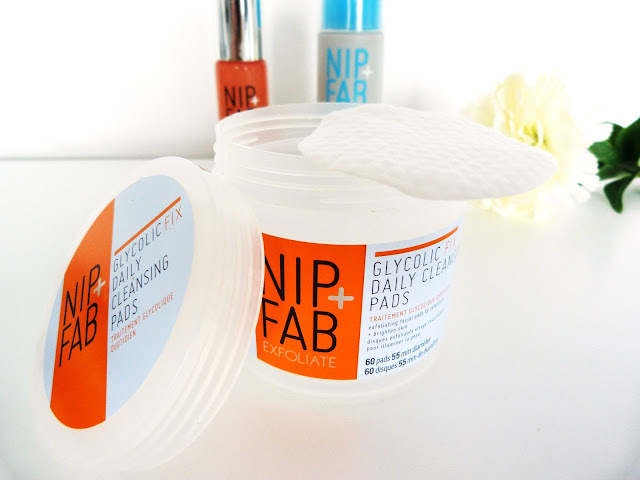 The glycolic fix daily cleansing pads are one of Nip + Fab's more popular products, with raves from celebs such as Kylie Jenner, and I can see why. The pads are soaked in exfoliating glycolic acid which is supposed to retexture and resurface the skin, witch hazel which helps to tone, hyaluronic acid, which helps to moisturize and refreshed as well as blue daisy which helps to soothe and calm. Cleansing pads had never really been part of my skincare routine until now, I've tried a few other brands in the past and I've never had much success with them due to them containing too my acids and alcohol, which tends to sting and be too harsh for my skin. But, I've found these pads to be great multitaskers and best of all, gentle on my skin. They're also great for when you want to be a bit lazy, or the morning after a night out! As you can see, I'm down to my last pad, which is pretty saddening for me as I'm now needing to purchase more as I really do love these! At first, I didn't entirely know what to expect from this, but it's slowly becoming a real love of mine. 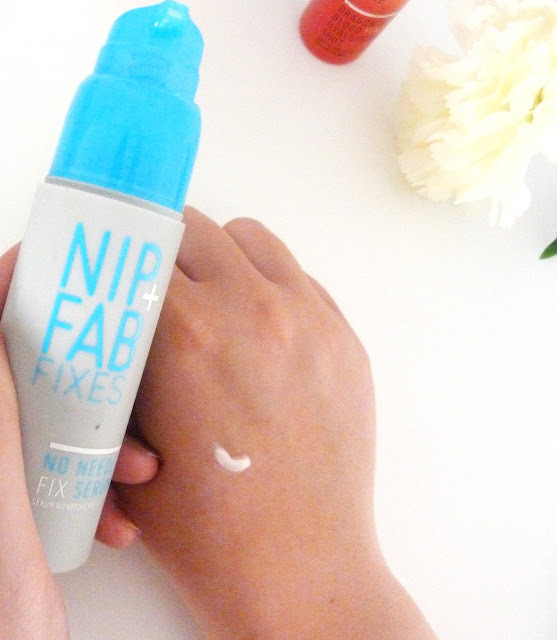 The bottle claims it is a revolutionary plumping + volumizing serum for younger looking skin. 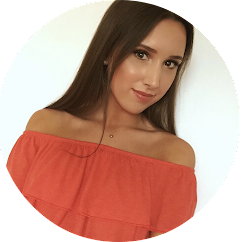 The bottle states that; cell active forms help plump fine lines, while oat extract acts as an instant tensor, blurring imperfections + soothing the look of wrinkles. I've been loving applying this before doing my makeup and I can honestly say, as soon as you apply it, it tenses your skin and reduces the look of fine lines. 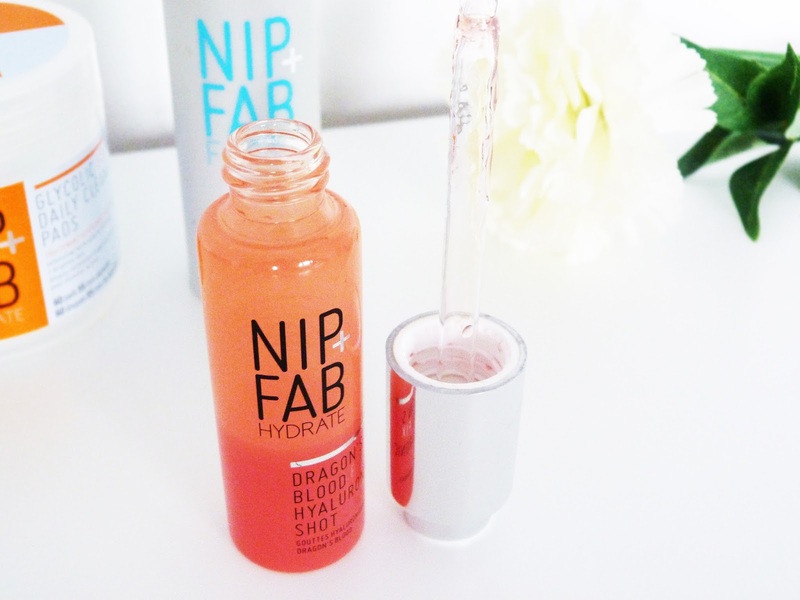 It also makes my skin feel plumper whilst being hydrated, without being greasy! Which is a problem I've found with so many other moisturisers. The packaging is also really convenient as it's great for travelling due to it being plastic. The pump also means you get the right amount of product and you're not getting too much and wasting any, yay. I haven't been using this for long enough to comment on any long term results and I'm not entirely sure how promising they would be, but in terms of a quick fix, I've been loving using this before applying makeup, I've actually been skipping using primer and just using this instead. You can shop Nip + Fab's full range of products here, and Superdrug currently have all three of these products on offer with a 'save up to 1/2 price on selected Nip + Fab products' which makes them totally worth it! 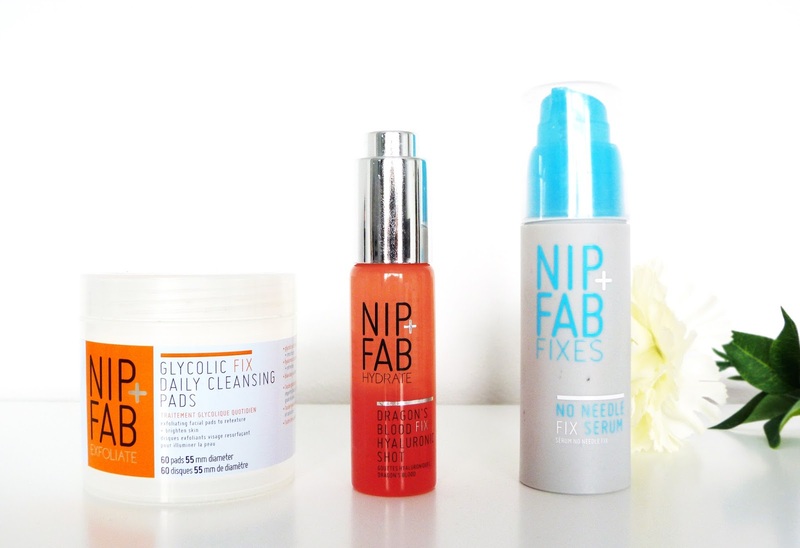 I'd love to know if you've tried any of these or have any Nip + Fab favourites yourself that you can recommend.